Spring has sprung!! 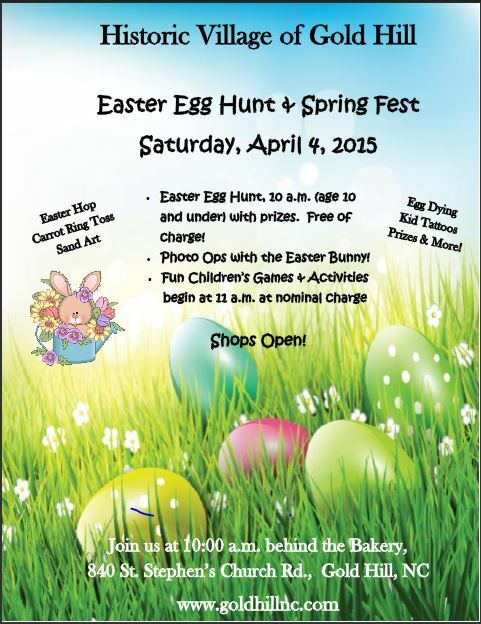 Come join the fun at the Easter Egg Hunt and Spring Fest in Historic Village of Gold Hill. Click on the image to enlarge the details for the event on Saturday, April 4, 2015.